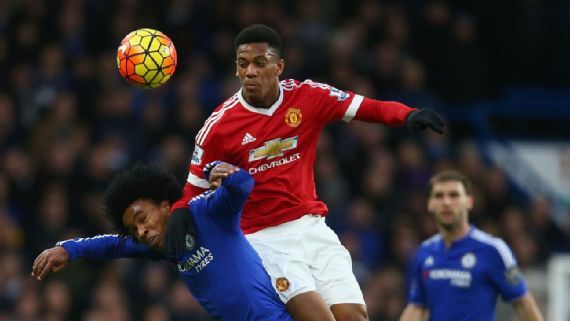 Manchester United are prepared to sell Anthony Martial to Chelsea, but only if the Blues send Willian in the opposite direction. United manager, Jose Mourinho has tried in the past to sign his former player, but Chelsea knocked back his advances last summer. However, Mourinho feels the Stamford Bridge outfit could be tempted into letting Willian go, if they get Martial in return. According to the UK Mirror, the deal could be worth around £80million. United would accept Willian and £40m from the Londoners in a deal that could suit all parties: Mourinho finally lands one of his trusted soldiers to bring a reliable wide threat, while Chelsea would receive an elite talent in their rebuilding phase, likely under a new manager.